What is the comparison mode? 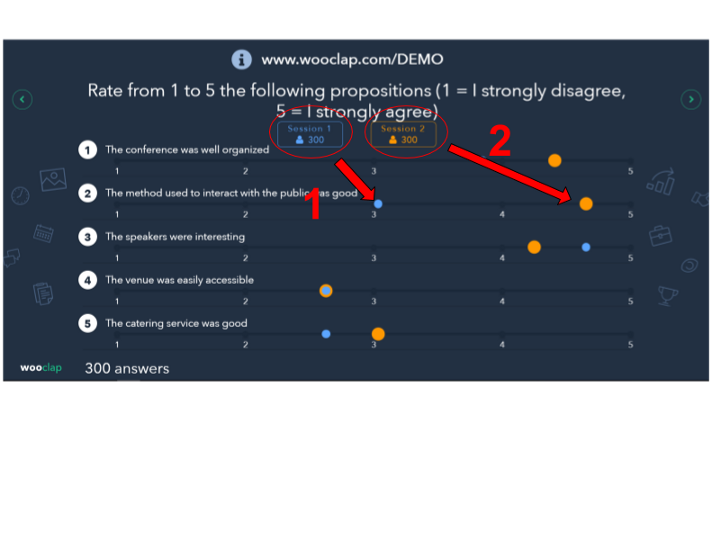 The “comparison mode” allows you to measure the progress of your audience in real time by comparing the results of two sessions. Motivate your learners by showing them that they are improving! As Henry Ford so well said, “failure is merely an opportunity to begin again, this time more intelligently”. 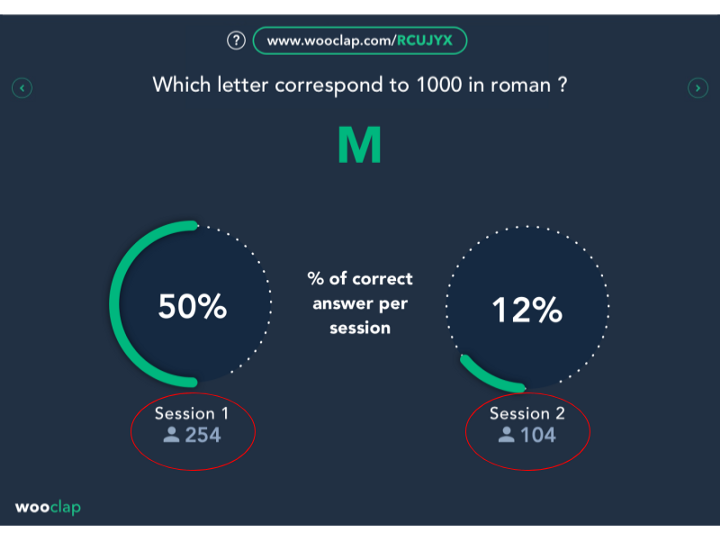 The multiple-choice question is effective to measure the overall understanding of your audience in a snap. 1-View the progress of your participants from one session to another. Create an open question with a correct answer. Visualize the % of correct answers for each session. Ask your audience to answer your question with a numerical value and indicate the correct answer. Visualize the % correct answers for each session. Participants score the criteria on a scale of 1 to 5. 1- Obtain a global view through the display of the average score per criterion for each session. 2- See the evolution of the average score from one session to another.